Congratulations to the 2015 Plymouth Harbor Foundation scholarship recipients! Thanks to the generosity of over 70 donors, we were able to award eight scholarships for a total of $14,000 this year! 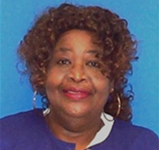 Bea Davis was a beloved, longtime (38 years) employee of Plymouth Harbor who passed away in 2013. She was a housekeeper in the Smith Care Center when she died. This scholarship was established in her memory and is available to housekeeping staff or their children. Carol is the daughter of Martha Chavez, a member of the housekeeping team at Plymouth Harbor since 2013. Carol is a sophomore at Florida State University working on a degree in Social Work and Political Science. She is interested in joining the Peace Corps, and is very involved in volunteer activities at FSU, such as Relay For Life and Ronald McDonald House. She is also an intern at the State Capitol. Jane T. Smiley has resided at Plymouth Harbor since 2004. From a family that encouraged academics, she graduated from Smith College with a bachelor’s degree in Political Science. She went into the business world and worked her way up from the training squad at Macy’s to assistant buyer at The New Yorker, and finally to Vice President at Burdines. 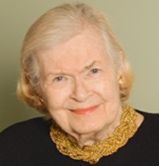 Well-educated, well-travelled, and a consummate philanthropist, Mrs. Smiley made two scholarships available this year to employees of Plymouth Harbor or their children. Nancy Chan is a Certified Nurse Assistant working toward her LPN certification at Manatee Technical College. She has been with Plymouth Harbor for over 10 years, has been a CNA for over 17 years, and is now ready to take her career to the next level. She feels that her years of experience as a CNA, and the understanding she has for others in need, will help her to become a wonderful nurse one day. Tricia Roman has been part of the Plymouth Harbor housekeeping staff for two years. She is very dedicated and motivated, and is working toward her Medical Administrative Assistant certification from Ultimate Medical Academy. She says that she has a heart to help people, especially the elderly. Evelin Corsey resided at Plymouth Harbor from 1995 until her death in 2013, at age 98. Her life was filled with show business and the arts, but her most noted contribution to the business world was her career in real estate. She was known as the “broker to the world” and had the distinction of becoming the first woman CEO in Manhattan real estate. 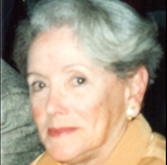 When Evelin passed away, she left a bequest to Plymouth Harbor in her estate. With a portion of that bequest, the Evelin Corsey Scholarship was established to benefit the employees of Plymouth Harbor. Luis has worked as a houseman in Dining Services for over 3 years. He is working toward an Associate in Science degree as a Radiology Technician at State College of Florida. He was inspired to pursue this field when he had his own sonogram and was completely fascinated by the technology. Jeannette Gehrie lived at Plymouth Harbor with her husband Charles from 2012 until her passing in October of 2014. She was wife, mother, grandmother, great-grandmother, and musician. 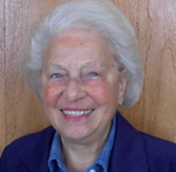 Before her death, Jeannette and Charles established and endowed a music scholarship to be offered annually, in perpetuity, to Plymouth Harbor employees or their immediate family members who wish to study music. Recipient: Paul Pazkowski – $1500 Jeannette Gehrie Music Scholarship Paul Pazkowski has been a Plymouth Harbor employee for nearly three years, most recently as an eTech; he plays guitar in the Mayflower Café twice a month. Paul is taking guitar lessons in order to expand his song selection to include more pieces from the eras of our residents. We are extremely grateful to the 70+ donors whose gifts have made additional scholarships possible for our employees and their families. Lekeya Butler is a CNA working in our Home Care department. She is a student at State College of Florida in the LPN program. Lekeya has ambitious plans for herself, as she would eventually like to earn her Nurse Practitioner degree where she would apply her skills in the field of women’s health. Vernicia (Nici) Crenshaw is the daughter of Michelle Jackson, a member of our housekeeping team for over 8 years, with a total of 29 years with Plymouth Harbor. Nici herself is a member of Dining Services. She is studying to become a Radiology Ultrasound Technician at Keiser University. One of her instructors commented that she is one of the most gifted of her contemporaries. Sabrina Cortez is a CNA in the Home Care department. She has been a CNA for 11 years, and is studying to earn her Occupational Therapy Assistant certification at State College of Florida. Sabrina has 6 children and manages to work full-time and attend school.